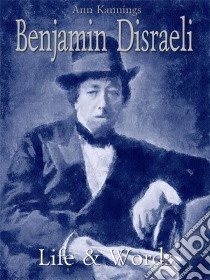 This book is an anthology of 80quotes from Benjamin Disraeli and 59 selected facts about Benjamin Disraeli. His family was of Sephardic Jewish Italian mercantile background. All Disraeli's grandparents and great grandparents were born in Italy. His grandfather, Benjamin, moved to England from Venice in 1748. He was close to his sister and on affectionate but more distant terms with his surviving brothers. His novel Venetia, a romance based on the characters of Shelley and Byron, was written quickly to raise much-needed money. In 1839 Disraeli married Mary Anne Lewis, the widow of Wyndham Lewis. Twelve years Disraeli's senior, Mary Lewis had a substantial income of £5,000 a year. "Dizzy married me for my money," his wife said later, "But, if he had the chance again, he would marry me for love." Disraeli's last completed novels were Lothair (1870) and Endymion (1880). Disraeli is considered to be the pioneer of the political novel. PM for almost 7 years, he initiated a wide range of legislation to improve educational opportunities and the life of working people. Disraeli became Prime Minister once again in 1874, aged 70. He was the first British Prime Minister of Jewish descent. On his deathbed, he is reported to have said: “I had rather live but I am not afraid to die”. He died 76 years old and was buried at Hughenden parish church in Buckinghamshire.